quality products, including the best nail polish brand, Jacava. As one of London's leading Make-up Schools, we have a reputation to uphold. All our make-up courses are delivered by professional, qualified make-up artists who have had at least 10 years experience in the industry. We ensure our students achieve the very best results, every time. Nail courses at the Academy are some of the most highly regarded in Europe. With students travelling from all over the world to attend our training courses, you're sure to meet new and interesting people on your exciting journey to becoming a successful nail technician. All successful nail course attendees are entitled to a one-time 10% discount from Nail Supplies. As well as ABT accredited practical and hands-on beauty courses, we provide training up to Nationally and Internationally accepted standards. ITEC can provide you with National and International qualifications, recognised by over 38 countries worldwide. Nationally recognised qualifications, also issued by ITEC, are available at the Academy. Check out our NVQ and VRQ Courses below. Our ABT accredited courses allow you to apply for public liability insurance. 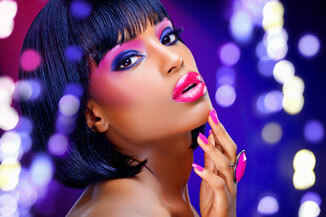 Choose from dozens of industry-recognised and relevant, hands-on beauty courses at the Academy. Whether you want to become a Beauty Therapist or would like to learn new skills, we've got it covered! Contact Us Today To Book Your Accredited Course.